It’s a new month, and time for another edition of our Customer Corner Series. This time we are featuring Burroughs Family Farms, a 5th generation Californian family with over 100 years of farming heritage. They have recently introduced a new set of flavored milks sweetened with our own organic maple syrup! Read on for their story and don’t forget to check out their website, Facebook, & Instagram! Burroughs Family Farms is a family farm based in the Central Valley of California. 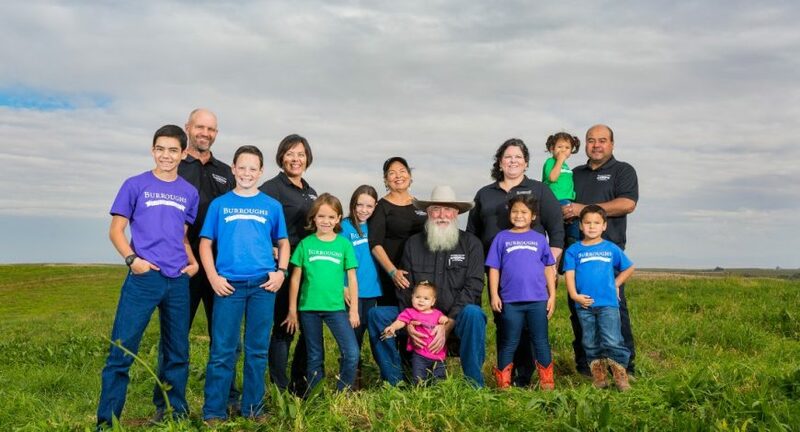 They have over 100 years of farming heritage and are a 5th generation Californian family. 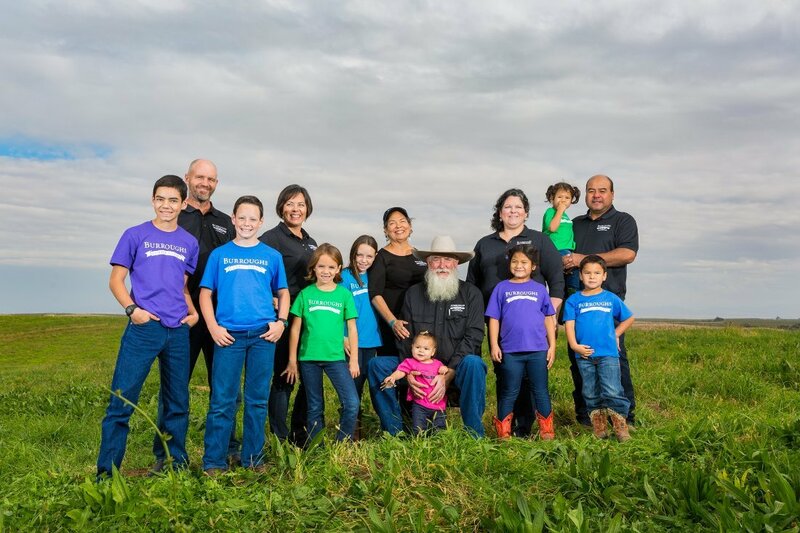 Throughout Burroughs Family farming history they have put a focus on regenerative agriculture practices and farming for the future. 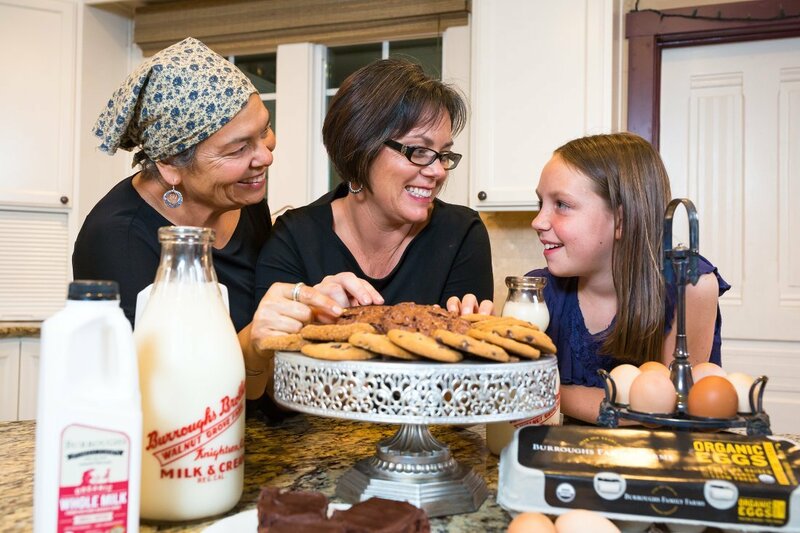 Their focus as a family has always been on being a dairy farm, but in the last 50 years they have expanded to include almonds, olives, chicken eggs, and more. All of their products are Organic or contain only Organic ingredients. Last year they went back to their dairy roots by creating an Organic Cream-Top Milk. This milk is non-homogenized which means that the fat molecules have not been distributed throughout the milk with heat and pressure. They vat-pasteurize their milk which make it non-homogenized and have a layer of cream at the top. It is recommended that you shake the milk before you enjoy. 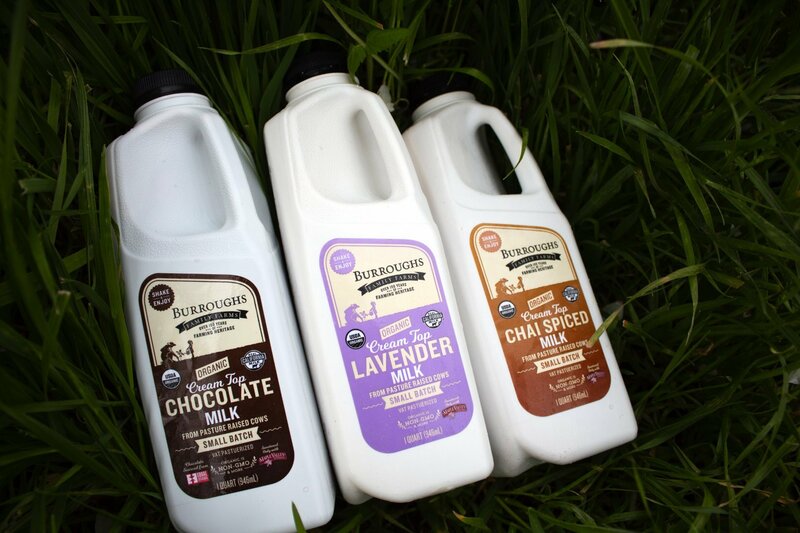 Recently, Burroughs Family Farms launched new flavored milks chocolate, chai spiced, and lavender. The milks are made with their signature Organic Cream-Top Milk. The flavored milks are each sweetened only with Maple Valley Cooperative Maple Syrup. 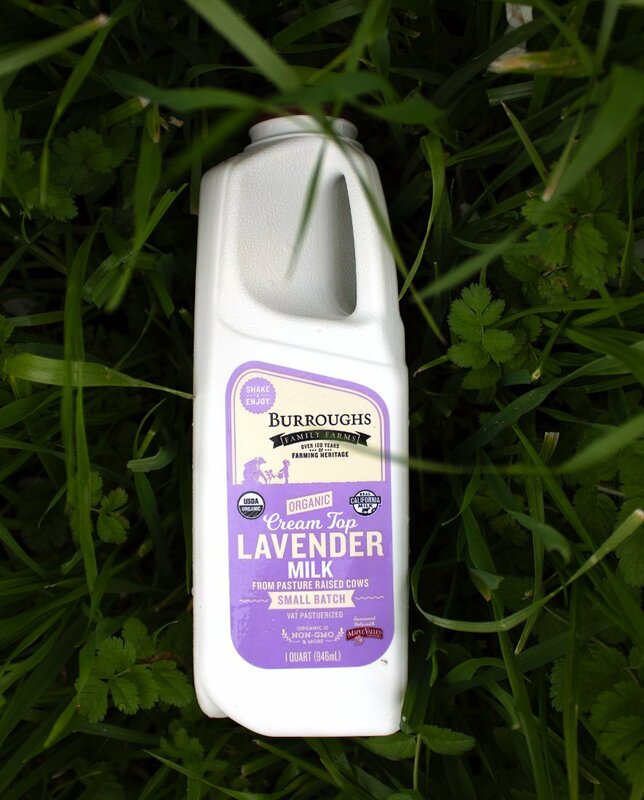 The lavender milk has been the star of the spring season this year. Made with Organic Lavender, this new flavor is floral & creamy heaven. 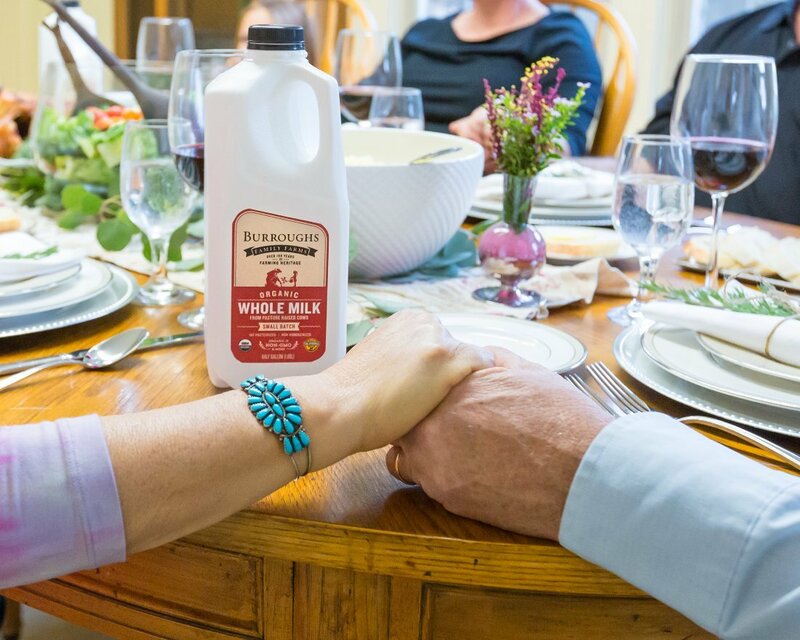 All of Burroughs Family Farms milk is good hot, cold, and any other way you want to try them. The chocolate milk is made with Equal Exchange Organic Cocoa and contains a hint of sea salt that brings out different flavors in the Maple Syrup and Cocoa. You can visit their website to find out more information about the products and where you can find them.